To have an online presence of your business has become of the most important tasks to improve your business and increase the potential clientele. However, designing and developing a business website involves cost which cannot be feasible for small businesses. This is when the best free website builder tools come into picture. The website builder tools are nothing but simple software that helps you in constructing your own website without any manual coding. These tools usually have a simple to use interface where one just needs to drag and drop particular fields to design their website. You might think, why use the website builder tools instead of hiring a professional company to design your website? Following are some of the advantages of using these tools than hiring someone to design it for you. Using a website builder at the first place reduces the cost of starting and maintaining the website. If you are hiring a professional designer, they charge a hefty amount for a normal website. Any suggestions for the customization can add an additional amount to their basic standard plans. Moreover, you will have to keep paying them small charges for every other update you got to make in your website. Hence, the overall cost increases when you hire a professional. On the other hand, the website builder tools come at very cheap packages or even free in some cases. Thus, they not just help you in saving a lot of money but also help you to customize your website the way you want without any cost involved. Time remains a crucial factor when it comes to designing your website. Even after hiring a professional, you got to wait for some time before you are delivered with an appropriate design for your website. Website builder tools on the other hand reduce your wait time immensely and deliver the product to you just on a few clicks. Definitely you are more concerned about your business than learning coding languages to develop your website. Hence, the website builder tools offer you a dashboard with thousands of templates to choose from. After selecting a template that suites the best for your website, you can further customize it by adding sidebars, sidebar widgets, contact forms, etc. The tools give you extreme flexibility to design your website even without the knowledge of coding. Drag and drop is all you got to do to make your website look the way you want. Everyone wants their website to look more captivating than their competitors. Some of the best website builder tools offer you with high quality graphics that help you in designing your webpages and make them more attractive for the visitors. Along with the high quality graphics, many website builder tools offer you a huge database of stock photos to use from. Everyone requires photos on their website. However, using random images from the Internet can land you up into copyright issues. So, what would be great than getting a huge database of amazing photos to use for your website? The best website builder tools are actually designed for layman who does not have any technical knowledge about web hosting, Search Engine Optimization and coding languages. Hence, the dashboard of these tools is built extremely simple so that anyone can use it with much ease. The drag and drop functionality ensure that you can design your website the way you want. Moreover, the entire concealed structure sees to it that you are not introduced to any backend codes and do not accidentally mess up with the coding. No doubt, these tools save you a lot of time, money as well as frustration, one must ensure that they choose only the best website builder tools to design and develop their website. Getting your business on the Internet today has become one of the easiest tasks, thanks to the amazing website builder tools. 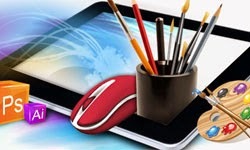 These tools help any layman to design and develop his/her website. 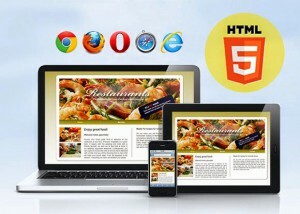 Hope, the above article helps you in understanding how to create your online presence with easy website builder tools.